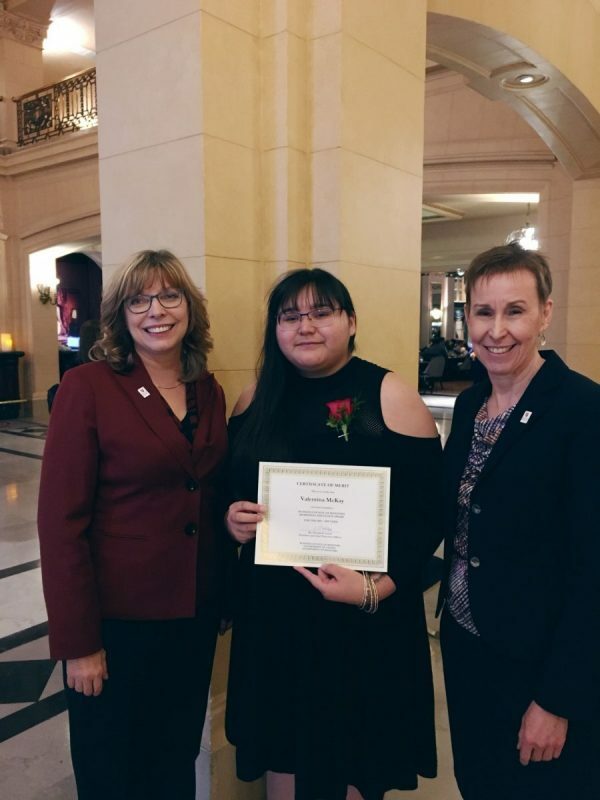 Valentina McKay (BAPsych/20) is the recipient of the Business Council of Manitoba’s Aboriginal Education Award. Valentina is from Grand Rapids Misipawistik Cree Nation and is enrolled at Booth University College in the School of Humanities and Social Science. This award means a lot to Valentina. “I cannot believe you can win an award for simply just being yourself. The validation that my hard work is recognized. It’s really an amazing feeling.” Congratulations Valentina!